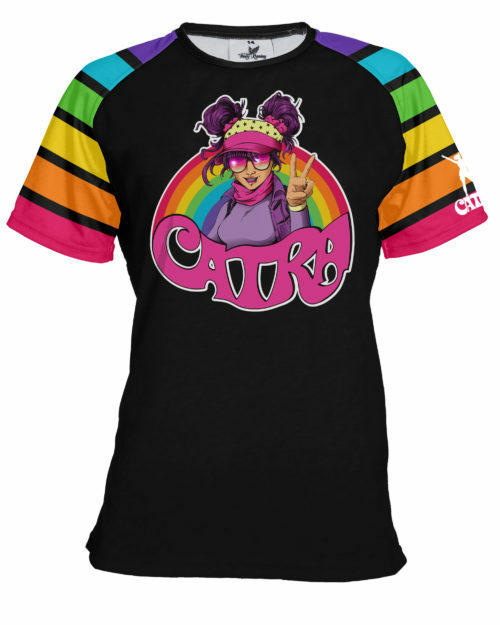 Harness your inner rainbow with the Catra 'Rainbow Vibes' running top. 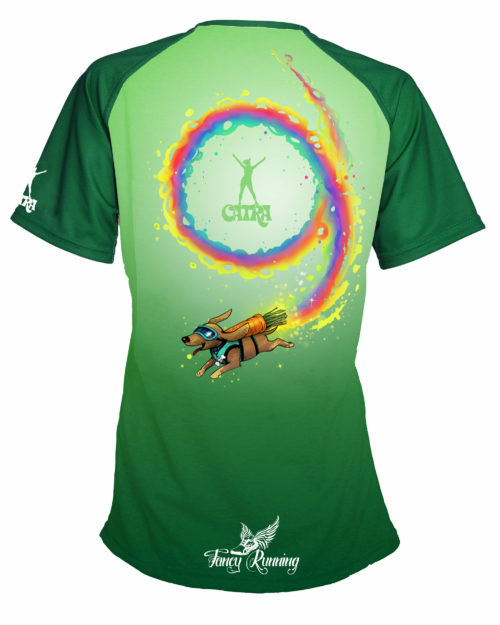 Brighten your run and bring a smile to people's faces with this eye catching, colourful design. Sublimation printing means our colours won't crack or fade. 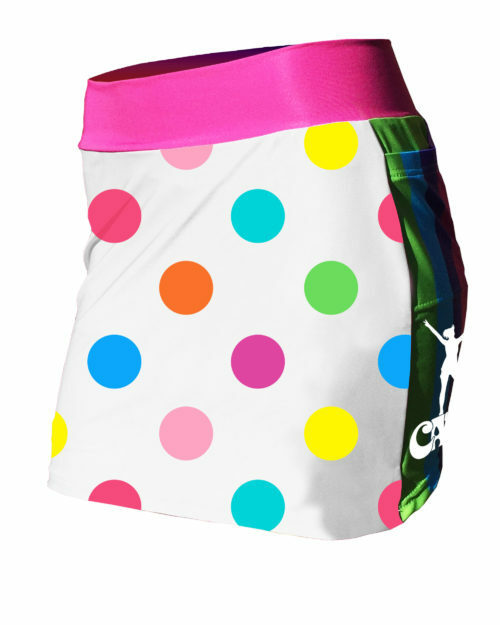 Match with the 'Rainbow Vibes' Skort for maximum rainbow effect! IMPORTANT: We are currently taking pre-orders for this design. Order now and be the first to own it! Product will be available for shipping in approx 4 weeks. 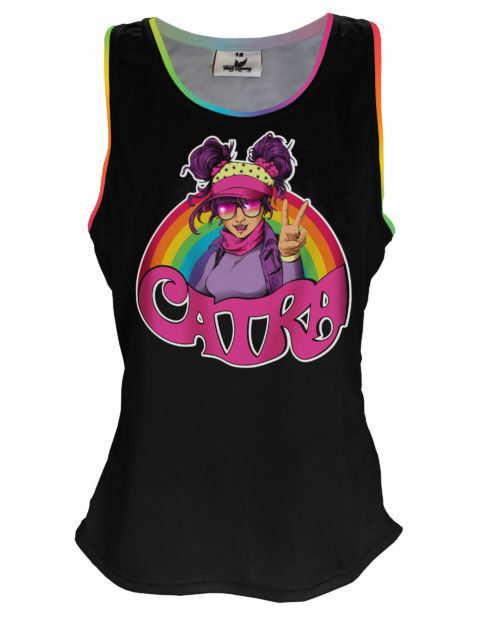 Harness your inner rainbow with the Catra 'Rainbow Vibes' running top. Brighten your run and bring a smile to people's faces with this eye catching, colourful design. Sublimation printing means our colours won't crack or fade. 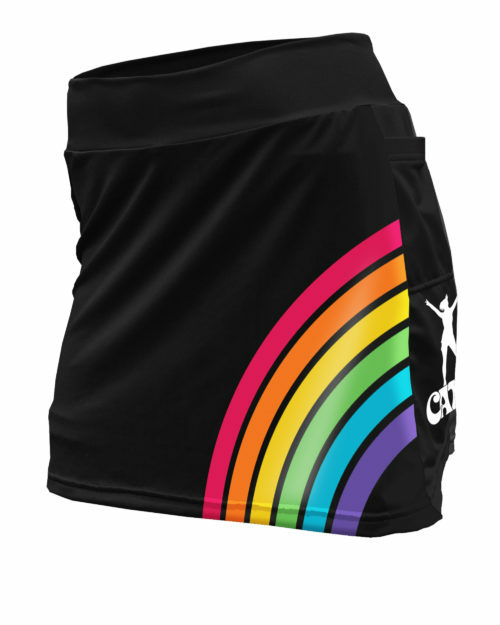 Match with the 'Rainbow Vibes' Skort for maximum rainbow effect! Our racer back vests are designed to be close fitting. If you prefer a slightly looser fit, we recommend going up a size. Calling all Rock Stars! It's your time to shine... 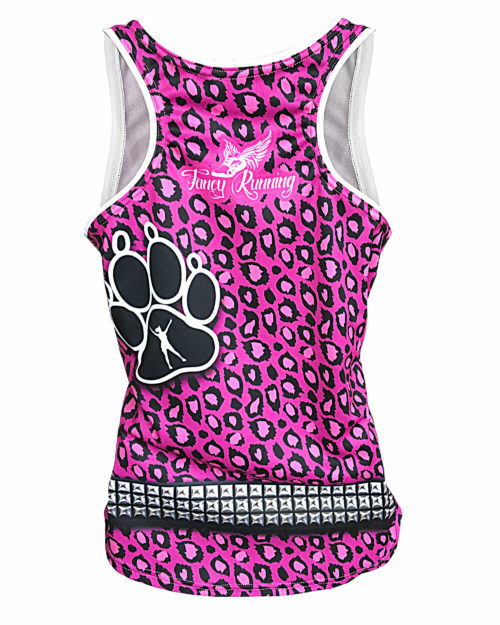 Step into the spotlight with our leopard print vest, featuring Truman the ultimate Rock Star. This little superstar has run hundreds of miles with his partner Catra Corbett (ultra runner and style icon extraordinaire). Can you rock the trails like this little dude? 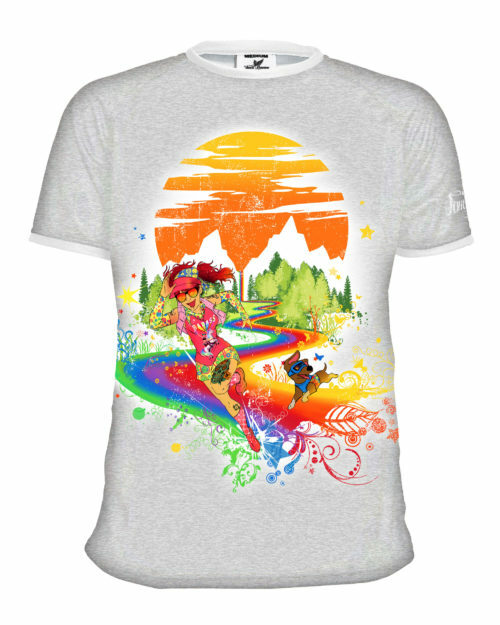 Sublimation printing ensures our colours don't fade, so you will always dazzle when hitting those trails, or pounding those pavements. 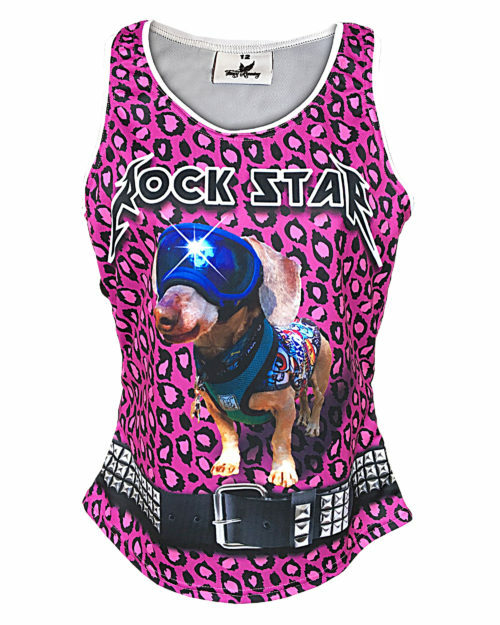 Rock on with Fancy Running! Our racer back vests are designed to be close fitting. If you prefer a slightly looser fit, we recommend going up a size. Catra Corbett has been named as one of the 'Top 5 Vegan Ultra-Endurance Athletes' by LIVINGVEGAN.com. Catra is one of only four people in the world to have run 100 miles more than 100 times. 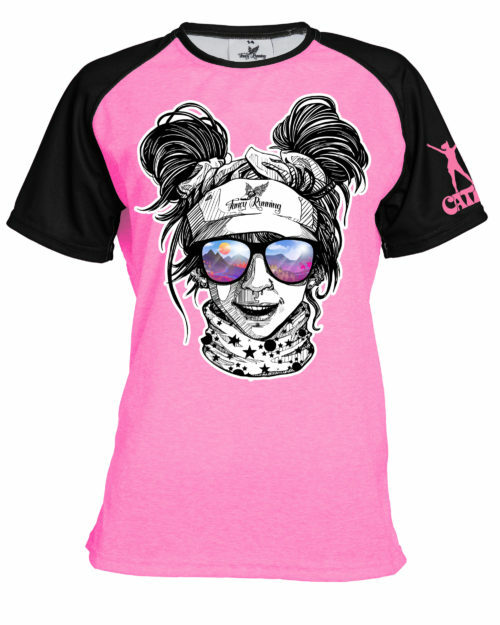 She inspires runners everywhere with her amazing feats and positive personality. 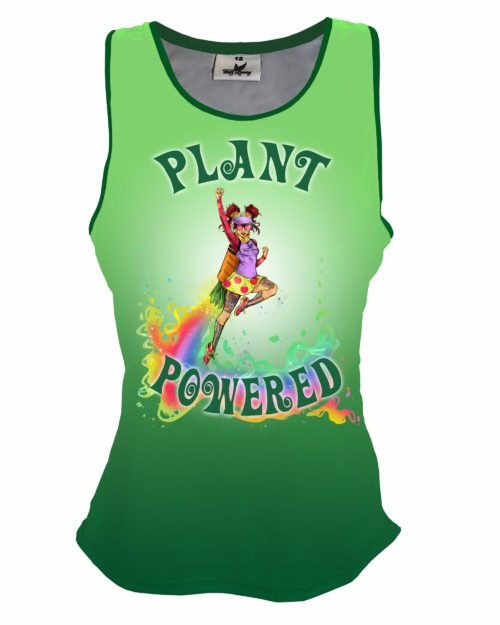 Are you 'Plant Powered'? Catra Corbett has been named as one of the 'Top 5 Vegan Ultra-Endurance Athletes' by LIVINGVEGAN.com. Catra is one of only four people in the world to have run 100 miles more than 100 times. She inspires runners everywhere with her amazing feats and positive personality. 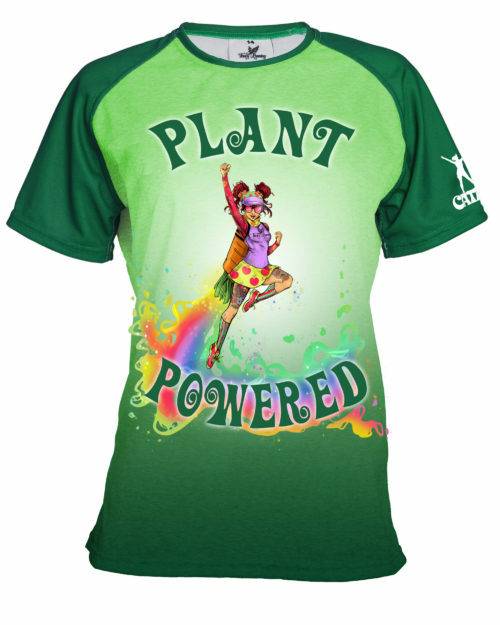 Are you 'Plant Powered'? Our racer back vests are designed to be close fitting. If you prefer a slightly looser fit, we recommend going up a size. Catra and her buddy Truman live for the trails. Do you? Get out there, and do it in style with our unique sublimation printed sportswear. Our technical, moisture-wicking material ensures not only do you look great, but feel it too. 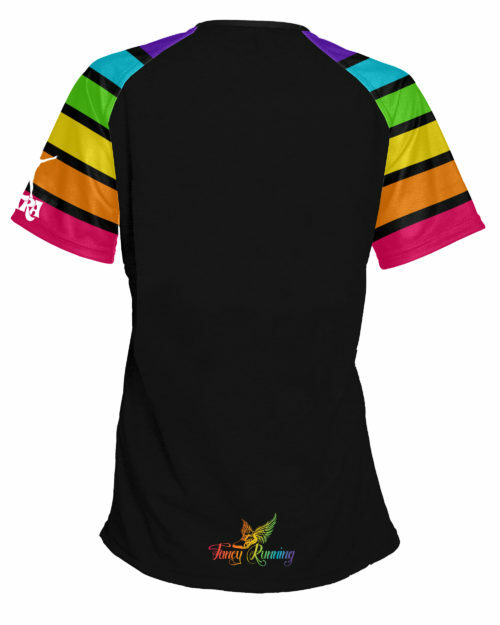 Sublimation printing won’t fade, so you will always look your brightest and best! Catra and her buddy Truman live for the trails. Do you? Get out there, and do it in style with our unique sublimation printed sportswear. Our technical, moisture-wicking material ensures not only do you look great, but feel it too. 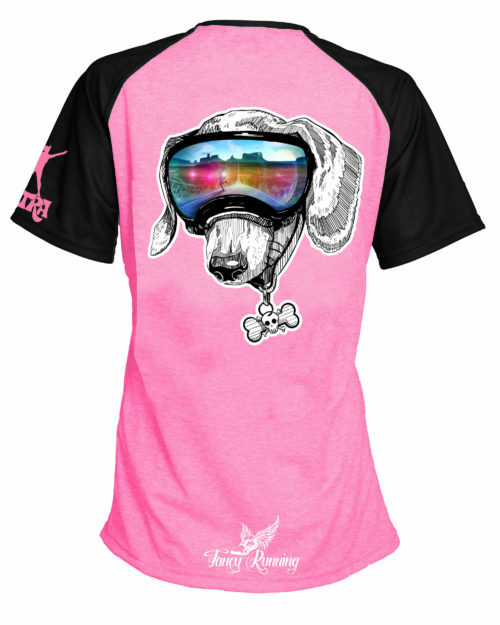 Sublimation printing won’t fade, so you will always look your brightest and best! Our racer back vests are designed to be close fitting. If you prefer a slightly looser fit, we recommend going up a size. 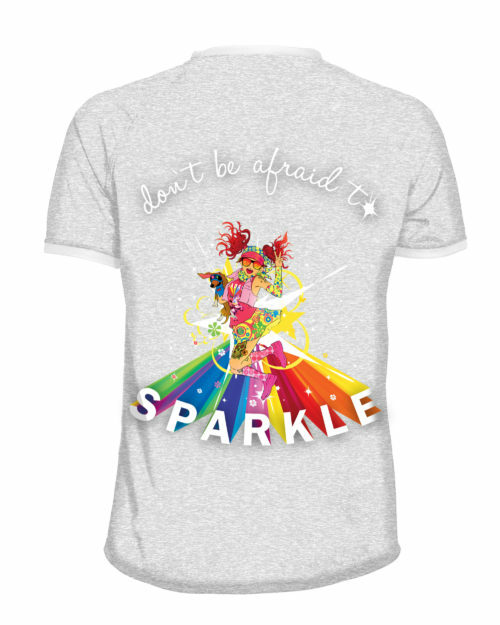 Don't Be Afraid To Sparkle! 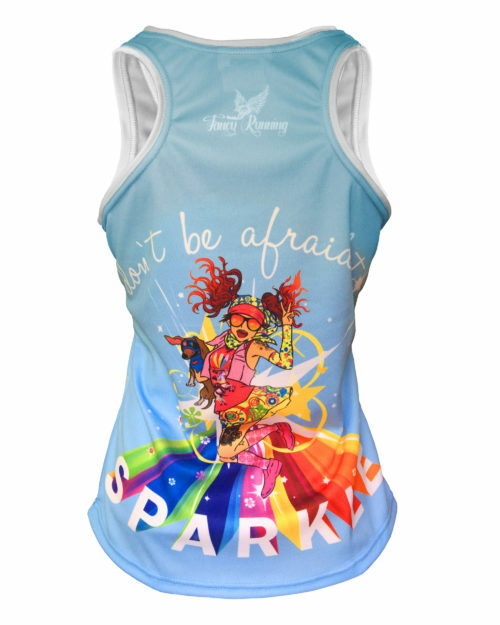 In the words of intrepid US trail runner Catra Corbett, 'don't be afraid to sparkle!' And sparkle she does, in every epic race she runs. 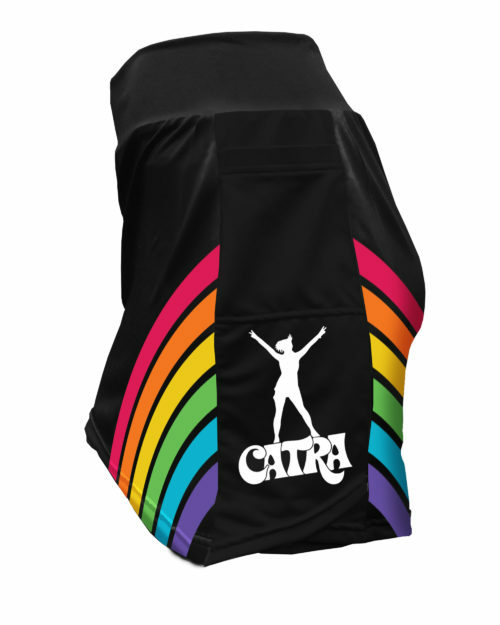 Inspired by Catra, aka Dirt Diva, and her faithful pupster Truman, our vest will add a touch of sparkle to your adventures. Add a bit of epic with Fancy Running. Our racer back vests are designed to be close fitting. If you prefer a slightly looser fit, you may want to consider going up a size but please carefully check the size chart for measurements. Please check the size guide below for measurements. IMPORTANT: These measurements are specific to this individual design. Although we've given this shirt a 'cotton look' it is in fact produced with high quality, technical, moisture wicking, breathable material, fully sublimation printed - ensuring not only do you look great, but feel it too. 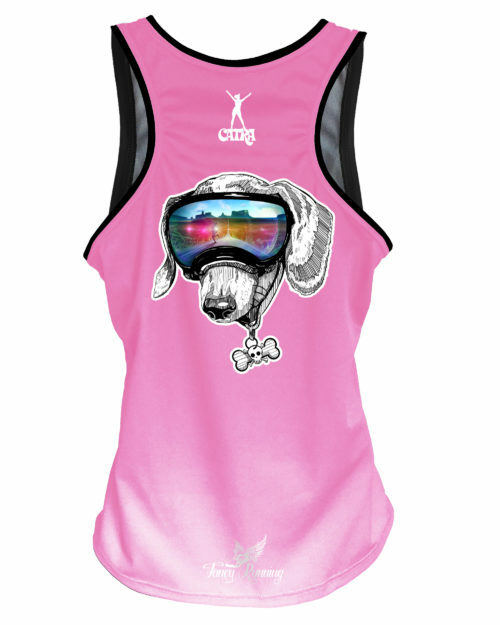 Sublimation printing won’t fade, so you can always look your best. 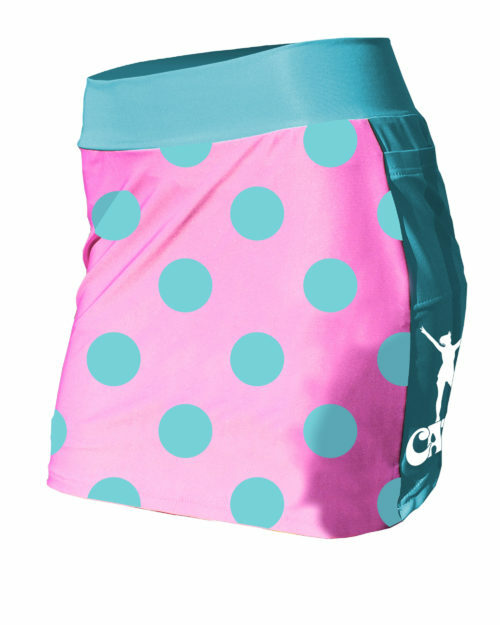 Fancy Running puts the fun in your run! 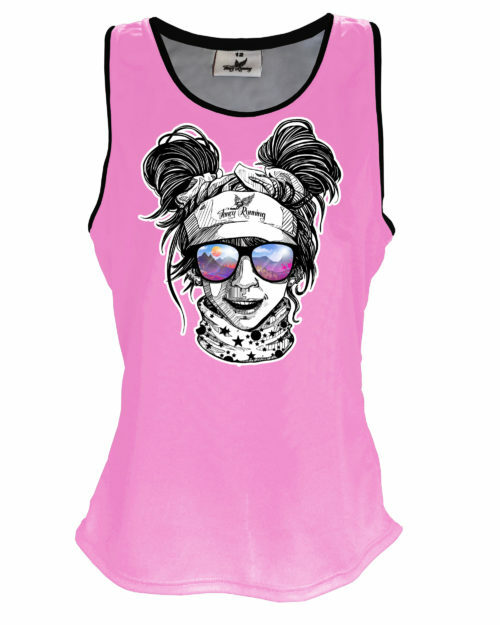 Our funky T-shirts and leggings are made with quality technical material. 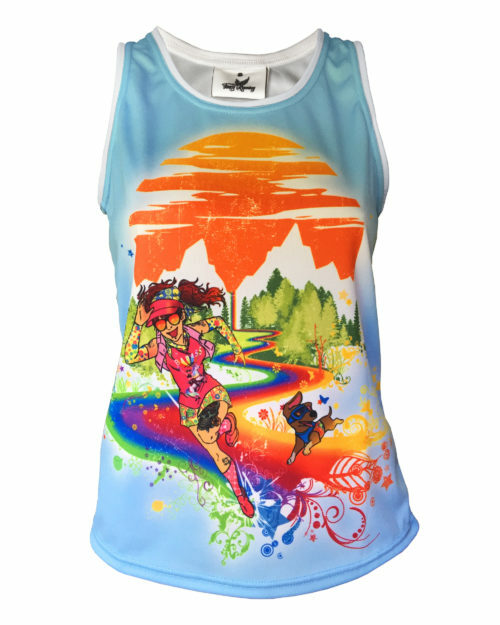 The cool, unique designs mean you are always race photo ready, whatever your sport. Whether tackling an obstacle course, running a marathon, smashing boot camp or just doing your own thing, do it in style. 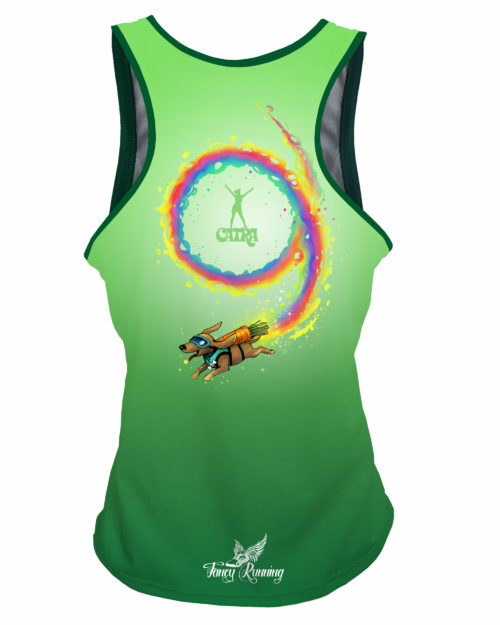 Born out of a love of OCR, Fancy Running garments make fitness fabulous! Forget fancy dress, start Fancy Running. Happy racing!